Before everyone started carrying around their smartphones, back in the 1990's everyone carried around a Tamagotchi. The little plastic toy, made by Bandai, was a virtual pet whose quick, healthy progression from infant to adult was determined by how timely your feedings were, how often you played with it (usually a modified game of rocks, paper, scissors) and cleaned up its waste. 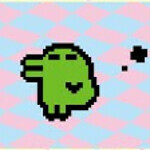 If you took proper care of your Tamagotchi, it grew up to be a fine specimen. But if you never fed or played with it, your Tamagotchi would die. Not to worry, though, you could start all over with a new infant. By the time people started carrying around more complex electronics like smartphones and tablets, the Tamagotchi was seen as being ancient history. But guess what? The Tamagotchi craze has returned, this time as an exclusive Android app by the company that popularized the toy to begin with, Bandai. The app, whose full title is Tamagotchi L.I.F.E., is a free download available in the U.S. and Canada. Bandai says the Tamagotchi experience is better than ever with the app, which brings color and a higher resolution to the virtual pets. If a dose of nostalgia is what you need, click on the sourcelink and get ready to be interrupted every 5 minutes so that you can feed, play with, and clean your Tamagotchi. Well, this takes me back to 5th grade. Takes me back to 1996. Still have mine too. Probably some 14 year old who doesn't understand what we are talking about. why only US and Canada?!? !